Reddit user Juankestein has shared images of a "Game Boy" he built when he was 9. Which is a fancy name for something he made out of paper. It's awesome. 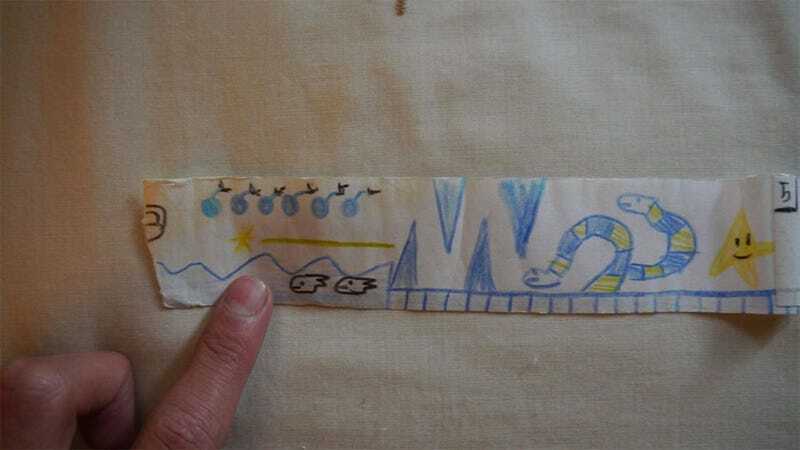 To mimic the scrolling effect of a 2D platformer, he's made levels on long rolls of paper, which as crude as it sounds isn't that far off from what the actual developers of those old games would do. To play, it looks like you just...run your finger along the scrolls.